This is really the only game in this series that may not work forever. And this is because the show is still running new episodes, so major characters might change, tics might come and go, and who knows what else. Still, the show is predictable enough to warrant a fair list of drinkables below, PLUS it's on Thursday nights, which is a primetime drinking opportunity, really. I also want to take this opportunity to mention that The Talking Box is expanding. 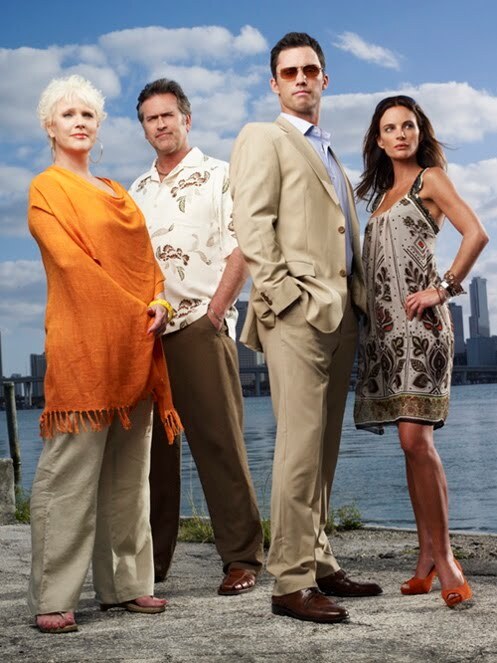 We've got a second writer starting this weekend, who will be mainly covering television reviews of shows I don't really watch, like Burn Notice and Lie To Me, that are still pretty popular. He was the main contributor to this post as well, although I was able to assist since I've seen bits and pieces of about 20 episodes. - Whenever we hear the word "burned" or the words "burn notice"